In talking with a friend recently, she mentioned how she could use some help for extending her healthy cooking knowledge and skills. Quinoa salad is great, but seven days a week will wear on anyone's palate. I choose to work with polenta because it's so tasty, versatile and easy on the pocket book. Serve it creamy with any kind of ragu or warm, savory topping and it's a hit. Or pour it into a pan and let it setup up (think jello with structure) then cut it into shapes for a Gluten Free bruschetta, sandwich bottom, or even for a new take on a crouton. This savory ginger mushroom topping is a pleasant surprise. 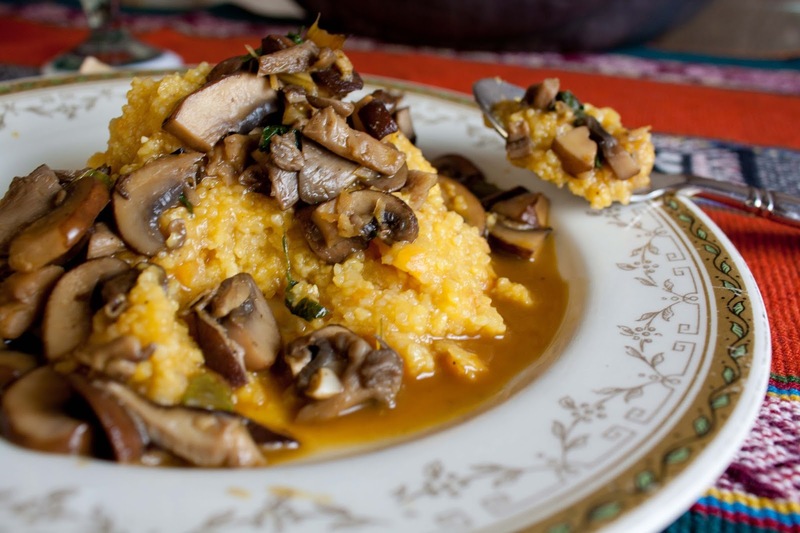 The ginger gives such a light, zingy punch that you don't typically expect with sauteed shrooms; it really moves the polenta out of the traditional Italian mindset. 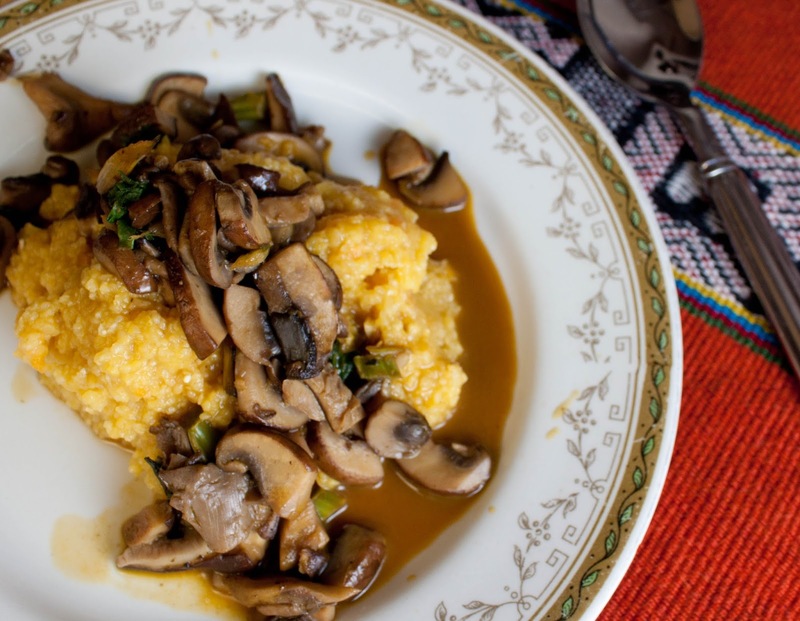 Start with this healthy and satisfying Fat and Happy polenta dish and then see how many creative versions you can come up with. Cook the mushrooms: Clean and slice the mushrooms. Clean the kale and Swiss chard, removing the leaves from the stem. Cut the leaves into bite size pieces and chop the stems. In your largest fry pan heat the oil over medium heat. Add the mushrooms and the chopped stems, cook about 5 - 7 minutes, tossing often.